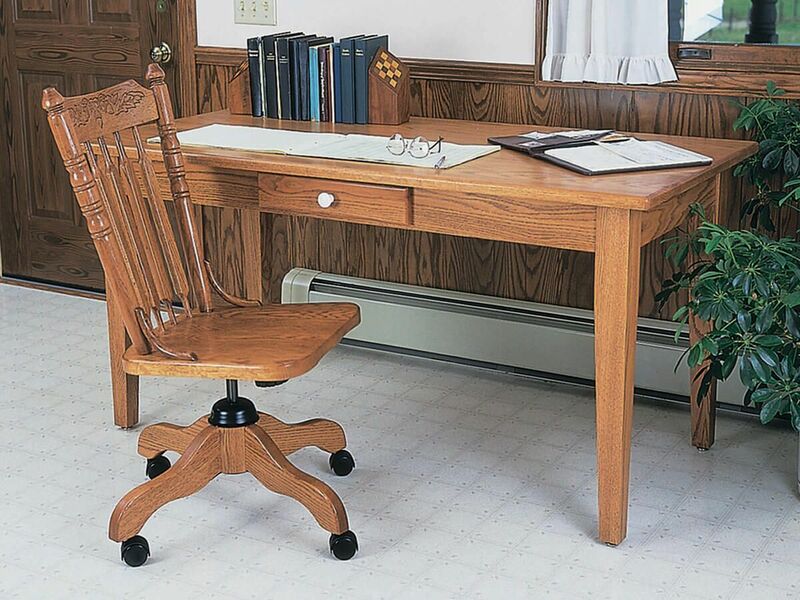 Our Letha Solid Wood Library Table is available for purchase in several sizes and domestic hardwoods, allowing you to create a unique writing desk. Library tables not too bulky and fit nicely in to a small space. Our Letha Solid Wood Library Table offers a dovetailed drawer where you can store a few pencils and paper, while offering a large solid top workspace top coated with a catalyzed conversion varnish. This sturdy, yet lovely library table is the perfect solution for your office or library - or anywhere else you might want a library table. An Oak library table as pictured definitely offers an appeal all its own, or perhaps a Cherry library table will fit in with your style better. Either way, your Letha Solid Wood Library Table will be Amish crafted with years of enjoyment in mind.